Don't trust your important Oracle RAC Linux system to a beginner. 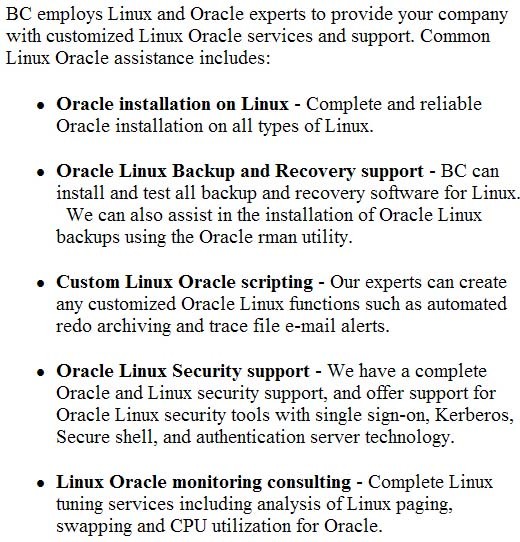 BC has complete support for Oracle RAC clusters on Linux and an expert Oracle RAC engineer is just a phone call away. 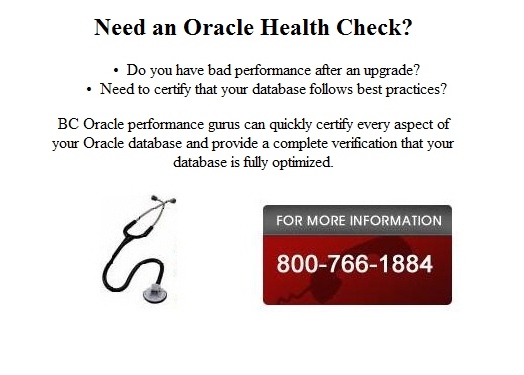 We have Oracle-certified and Red Hat certified Linux technicans with real world RAC experience to help with all Oracle RAC issues on Linux, especially Oracle Linux tuning support. All Oracle Linux services for RAC are performed by Oracle and Red Hat Certified professionals with years of hands-on Oracle RAC Linux experience. BC is the leading provider for mission critical Linux systems using Oracle Real Application Clusters (RAC).